R702.3.4 Insulating concrete form walls. R702.3.7 Horizontal gypsum board diaphragm ceilings. R702.3.8 Water-resistant gypsum backing board. R702.4.2 Fiber-cement, fiber-mat reinforced cementitious backer units, glass mat gypsum backers and fiber-reinforced gypsum backers. R702.6 Wood shakes and shingles. R702.7.1 Class III vapor retarders. R702.7.2 Material vapor retarder class. 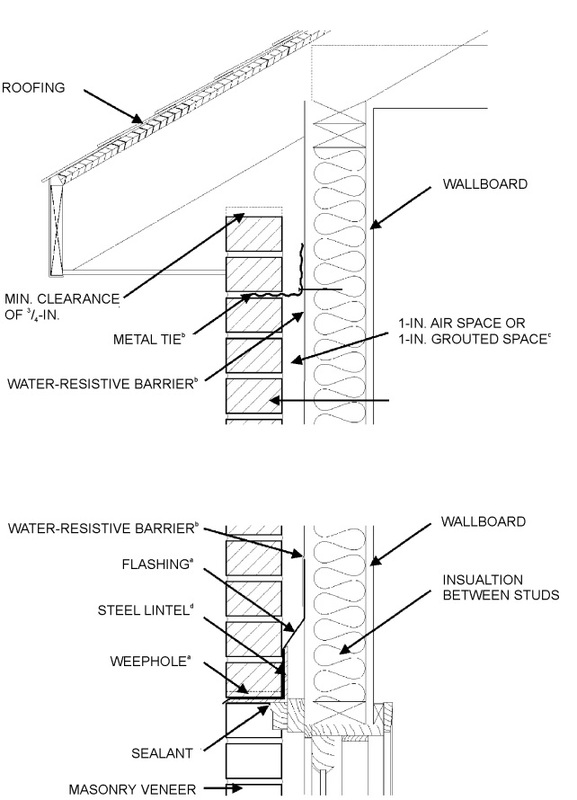 R702.7.3 Minimum clear air spaces and vented openings for vented cladding. R703.3 Wood, hardboard and wood structural panel siding. R703.5 Wood shakes and shingles. 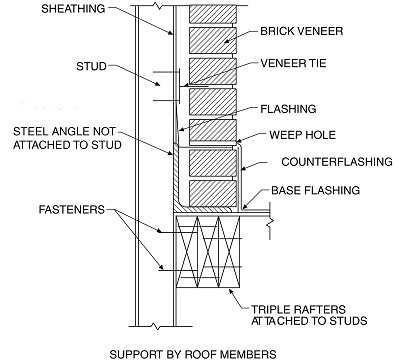 R703.7 Stone and masonry veneer, general. 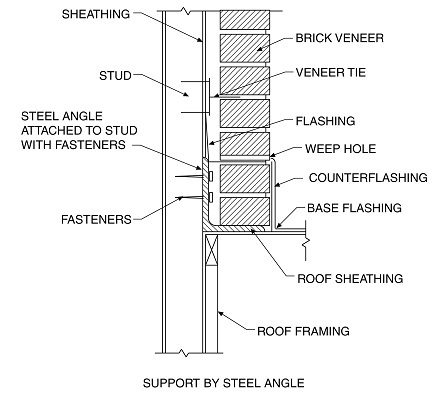 R703.7.2.1 Support by steel angle. R703.7.2.2 Support by roof construction. 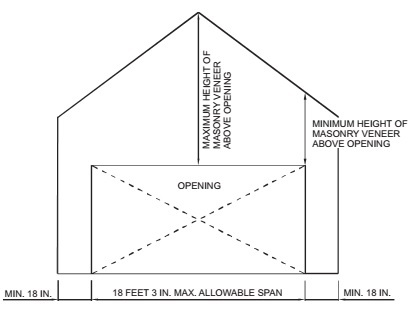 R703.7.4.1.1 Veneer ties around wall openings. 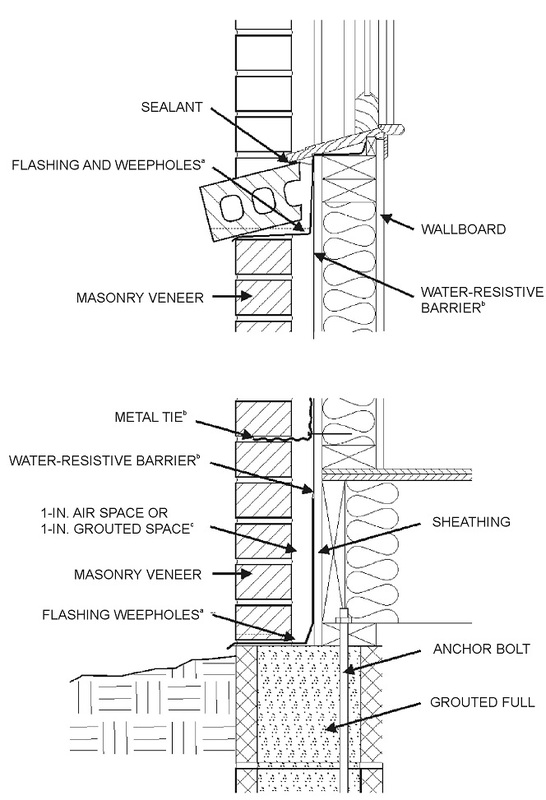 R703.9 Exterior insulation and finish system (EIFS)/EIFS with drainage. R703.9.1 Exterior insulation and finish system (EIFS). R703.9.2 Exterior insulation and finish system (EIFS) with drainage. R703.9.4 EIFS/EIFS with drainage installation. All EIFS shall be installed in accordance with the manufacturer's installation instructions and the requirements of this section. R703.11.2.1 Basic wind speed not exceeding 90 miles per hour and Exposure Category B.
R703.11.2.2 Basic wind speed exceeding 90 miles per hour or Exposure Categories C and D.
R703.12 Adhered masonry veneer installation.